Texas Chess Association Region VIII lies at the southernmost tip of Texas, with Mexico to the south and west and the Gulf of Mexico to the east. Also known as the Rio Grande Valley, this part of Texas attracts many visitors with its semi-tropical climate and beautiful beaches. The smallest of the 9 regions in Texas, it is comprised of only 4 counties. 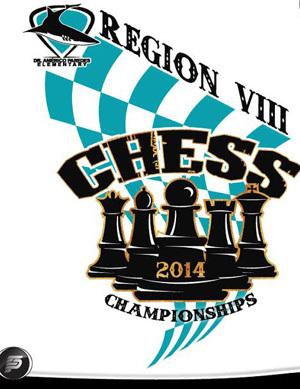 What Region VIII lacks in size, it makes up for with its love of chess. This small area has by far the largest participation of any region in the state. Over 1550 students participated in the 2014 Region VIII Championships the weekend of January 25 & 26 in Brownsville, Texas. Organized by Dr. Américo Paredes Elementary and hosted at Veterans Memorial High School, this year’s tournament was the largest Region VIII Championship ever. Although school districts from across the Rio Grande Valley were well represented, Brownsville schools dominated the Championship sections. In the K-1 section, Dr. Américo Paredes Elementary placed first, and three other Brownsville ISD schools tied for second; Reynaldo Garza Elementary, Ben Brite Elementary and Hubert Hudson Elementary. Jorge A. Vadillo from Paredes Elementary was the individual champion with a perfect 7 points. In the Primary Championship section, Brownsville’s Hudson Elementary and Sharp Elementary were co-champions, with Sharp Elementary 2nd-grader Rohun Trakru taking the individual title with 7 points. In the Elementary Championship section, Brownsville’s Hudson Elementary placed 1st, and Brownsville schools Benavides Elementary and Episcopal Day School tied for 2nd place. Co-champions in this section with 6.5 points were Adolfo A. Balderas, Jr. from Brownsville’s Hudson Elementary and Satya G. Holla from Sharyland ISD’s Shimotsu Elementary. In the Middle School Championship section, Brownsville’s Vela Middle School claimed the team title, with San Benito ISD’s Berta Cabaza and Miller Jordan Middle Schools tied for 2nd place. Sharyland North Junior High School’s Miguel A. Garcia won the individual championship with 6.5 points. In the High School Championship section, Brownsville Hanna High School finished 1st, San Benito High School was 2nd, Brownsville Porter was 3rd, and Brownsville Veteran’s Memorial was 4th. Brownsville Hanna’s James Ukoli won the individual championship in the High School section, going undefeated and untied and finishing with 7 points. By virtue of his championship in this section, James Ukoli was awarded a chess scholarship to The University of Texas at Brownsville. The Chief TD for this tournament was Senior TD Victor J. Flores, and the pairings were done by Remy R. Ferrari and James Houghtaling. Scholastic chess began in this area in 1990, when Russell Elementary teacher JJ Guajardo introduced the game to his students in Brownsville. The students and community embraced chess, and Russell Elementary went on to win an unprecedented 7 straight Elementary State Championships. Motivated by their success, other Brownsville schools started chess programs and soon became fixtures on the podiums at national events. At least 6 Brownsville schools have won national titles, led by Dr. Américo Paredes Elementary’s 7 National Championships. Inspired by requests from parents, the Brownsville Independent School District (BISD) began supporting chess in a big way. Almost all of BISD’s 55 schools have active chess programs, and the district began putting hundreds of thousands of dollars a year into their chess program. The University of Texas at Brownsville (UTB) started a chess program in order to give area students the opportunity to continue playing competitive chess at the collegiate level, and soon began offering chess scholarships. UTB’s Chess Team has become one of the top collegiate programs in the nation, placing among the top 5 universities at the Pan American Intercollegiate Team Chess Championships 6 years in a row. The success of Brownsville schools at national tournaments and the large number of kids playing chess attracted the attention of the media, resulting in numerous wire service newspaper articles and stories on CBS Evening News and HBO’s Real Sports with Bryant Gumbel. Chess spread across the Rio Grande Valley; and school districts such as Los Fresnos, San Benito, Edinburg, Harlingen, Sharyland, and Pharr San Juan Alamo began supporting chess in their schools. Now, there are USCF-rated scholastic tournaments somewhere in the Valley almost every weekend of the academic year. The University of Texas at Brownsville will be hosting the next Pan American Intercollegiate Team Chess Championship on South Padre Island on December 27-30, 2014.